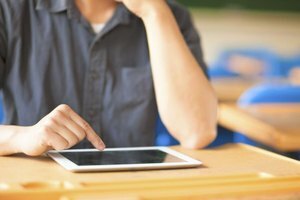 Autistic students can overcome writing obstacles with classroom tools. Teachers, students and parents will realize their true potential. Breaking the writing barrier for autistic students is challenging. 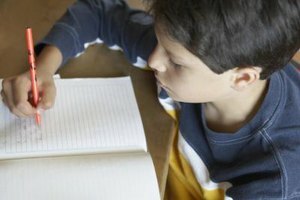 Autistic students often have cognitive or physical difficulties that interfere with traditional writing. Simply holding a pencil can be a complicated and even painful task. Initially, educators will face opposition from students when putting writing tools into action as it requires autistic students to learn new skills. Once implemented, any writing strategy must be followed continually for an autistic student to progress. For autistic students, writing tools are sometimes indispensable for academic success. When an autistic student has been identified with writing obstacles such as dyspraxia, assistive technology (AT) - any form of equipment or product system that increases, maintains or improves functional capabilities and writing ability - becomes an effective tool. Lisa A. Kurtz, author of "Understanding Motor Skills in Children with Dyspraxia, ADHD, Autism and Other Learning Disabilities: A Guide to Improving Coordination," affirms that "compensatory strategies" such as AT tools lessen a student's mental effort in the act of writing. These tools let students focus on and free their potential in expression and articulation of ideas. Speech recognition programs operate in conjunction with a word processor. A student speaks into the computer's microphone and his spoken words materialize on the screen as text. Speech recognition software works optimally with students who have a higher oral ability than writing. Programs include Dragon Naturally Speaking and iListen. Abbreviation expander programs used in conjunction with a word processor assist students with creating and then storing frequently-used words or phrases for future writings. The abbreviation expander proves beneficial to students who not only struggle with writing but have slower keystroke ability. Programs include ActiveWords and TypeIt4Me. Students who require instructional accommodations to assist or augment writing need written handouts broken down into smaller tasks to supplement oral instruction. Note taking can be physically difficult for an autistic student. Additionally, an instructor's pace can be overwhelming to a student whose trying to pay attention while note taking. Copies of teacher notes give students the ability to listen and focus on oral presentations, while highlighting essential information on teacher notes. The use of a tape recorder allows students to listen to classroom activities and later take notes from the lecture at a slower pace. A portable keyboard such as AlphaSmart or Quick Pad provides students an alternate method for articulation in writing assignments. Students will generate more complete ideas to ultimately create a first draft to final copy. Graphic organizers provide a visual tool for students to formulate ideas, plan research and brainstorm in a short organized format. This tool helps prestructure written work and motivates autistic students in writing assignments. Organizer options include sequencing and story and concept mapping, to name a few. Popular choices include Inspiration and Draftbuilder as well as printable worksheets. Students with physical difficulties in writing due to fine motor skills or sensory integration disorders need simple writing tools. Shortened writing implements, weighted pens or pencils, special pencil grips, highlighters, or attaching a supportive rubber around the pencil and wrist improve writing ability and attention span. 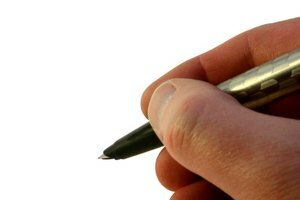 More high-tech options include paper-based computer pens that simultaneously record and later link audio to notes utilizing the special pen and paper. Tictionary -- A Reference Guide to the World of Tourette Syndrome, Asperger Syndrome, Attention Deficit Hyperactivity Disorder and Obsessive Compulsive Disorder for Parents and Professionals. R., Dawn. "Writing Tools for Autism." Synonym, https://classroom.synonym.com/writing-tools-autism-6317790.html. Accessed 19 April 2019.